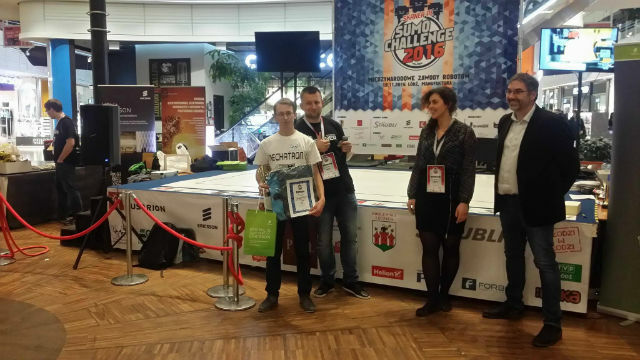 On 19 November 2016, more than 230 constructors visited the International Robot Competition. 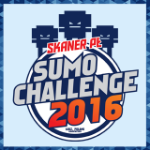 Sumo Challenge is one of the largest events of this kind in Europe, and it all started as a small local competition organised in 2008 by the SKaNeR scientific association of Lodz University of Technology. 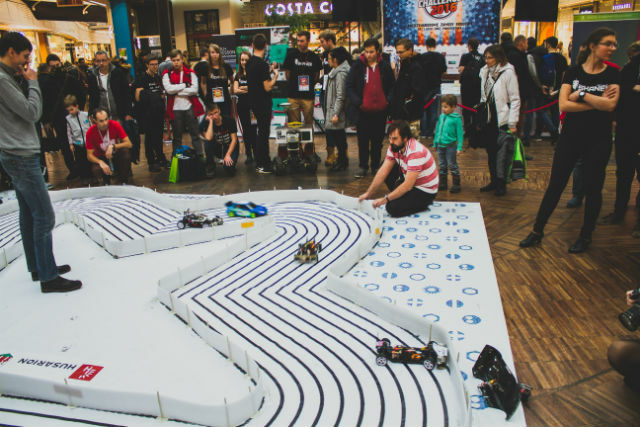 During this year’s edition, the robots competed in two classes: Nano (small, matchbox-sized) and Standard (the strongest machines weighing up to 3 kilograms). They competed in the total of 15 categories. 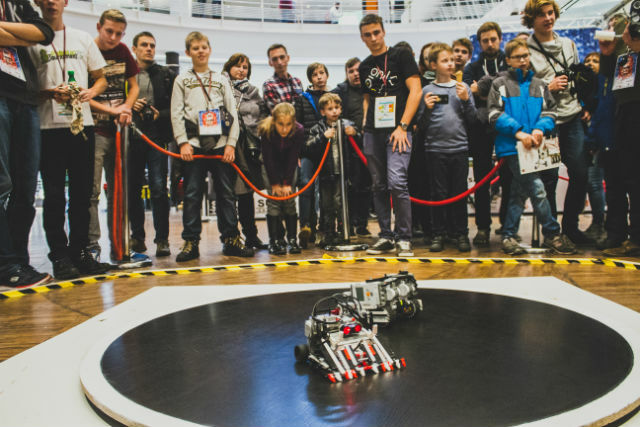 The largest number of participants signed in for Lego Sumo, where the age bracket of the builders was the largest – from school-aged children to retired robotics enthusiasts. 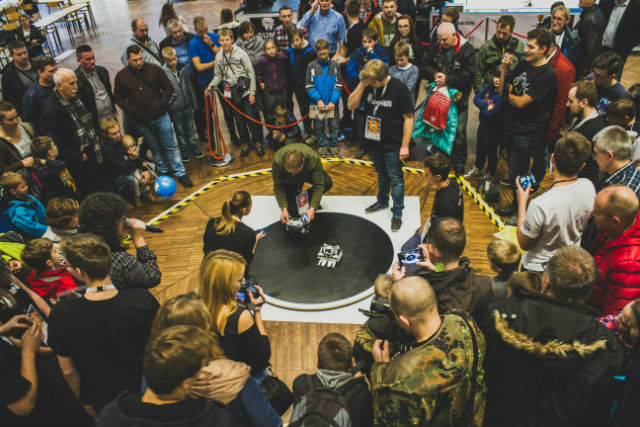 The audience particularly enjoyed the MicroMouse fights of robo-mice and one of the kind Ketchup House event in Poland. 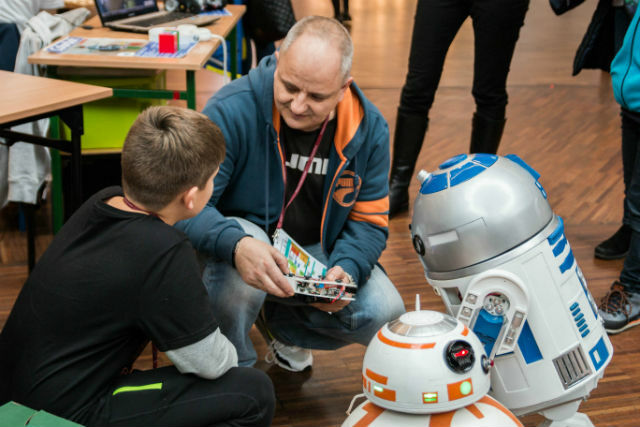 The visitors admired fighting robots as well as racing two-legged robots. Apart from contests with clearly defined rules, there were also Husarion Freestyle shows, and multiple interesting variants were presented, e.g. 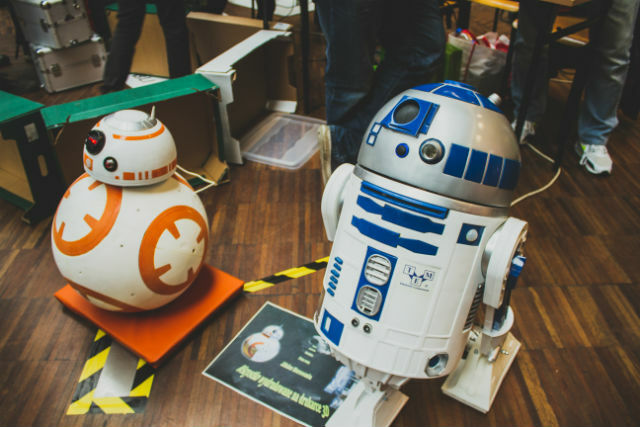 an artificial hand mimicking the movement of a human, six-legged spider robot, a Mars rover, and replicas of R2-D2 and BB-8 of the Star Wars saga. We would like to thank everybody for the emotions and time spent together at Manufaktura!